How crazy has the weather been? 36 degrees one day, 13 the next. I had a serious think about lighting the fire again this week. A few weeks ago, we were talking about drought and now we need to chat about the effect this recent rain has had on our grapevines. Well, when the BOM issues this type of warning they are saying that the forecast conditions are conducive to a primary infection period for downy mildew. At least 10 mm rainfall (approximately) over a 24-hour period during which the temperature does not go below 10 degrees Celsius. In these conditions, dormant downy mildew spores erupt from the soil and “splash” (or mist) onto the canopy of the vines. And when I say “dormant”, they can happily live in the soil for up to 10 years! This process is the “primary infection” – the spores have now infected the leaves along with the developing flowers/bunches. Where do the downy mildew spores come from in the first place? If you’re planting vines into a new vineyard the rootstock you buy should be heat-treated. In theory, you should be able to keep these cuttings clean (with a good fungicide spray program and vineyard management). In reality, though, it doesn’t really matter what you do or how careful you are. 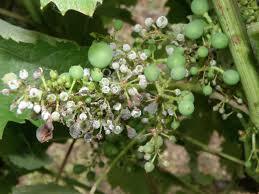 If you are in or near other vines which are infected it will transfer across between the vines. 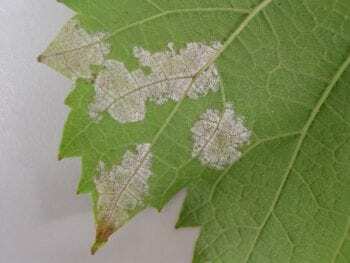 Unfortunately, it is not an exaggeration to say that practically every single vineyard in Australia would have the spores of downy mildew and the potential to cause disease. There are two approaches to managing the risk of downy mildew. First, there is what’s known as a preventative fungicide. Grape growers who use preventative sprays such as copper, will usually spray the crop every 2 weeks to ensure protection of the crop from downy mildew throughout the growing season. They must be extremely vigilant with their spray programs. Even then, that’s not a guarantee that the vines will be protected. 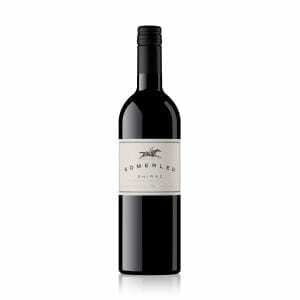 With vines growing up to 30 cm EACH WEEK, it is difficult to ensure every part of the vines is covered. That’s where eradicant fungicides come into play. 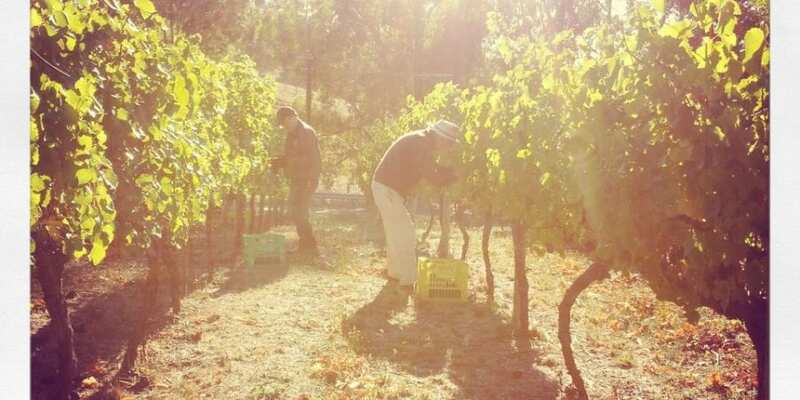 If the primary infection period (the one with more than 10 mm rain and 10 degrees over a 24-hour period) occurs within a week or more of the last preventative spray then an eradicant will need to be used to protect the vines. This is when the decision of the experienced vineyard manager is crucial. If the eradicant is applied too late and the secondary infection is already multiplying and spreading its spores, then it could potentially defoliate the whole crop. In other words, no grapes and more importantly, no wine! See how on Tuesday (6th Nov) we had 11.2 mm rain and the temperature didn’t dip below 10.5 degrees? 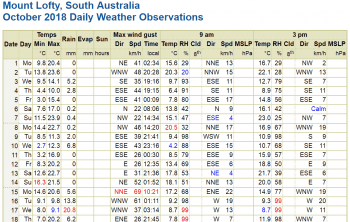 This is exactly why the BOM issued a downy mildew alert for the Adelaide Hills. If we look back at the observation from October, you will see that we got very little rain until the 16th and 17th (13.8 mm and 20.8 mm respectively). However, notice that the minimum temperature on those nights dips below that all important 10 degrees. What experienced vineyard managers will know though, is the 10 mm/10 degree rule is not hard and fast. It is simply a rule of thumb. They would have been on high alert with observations like these. To prove this point, the Riverland has just reported their first sightings of downy mildew. 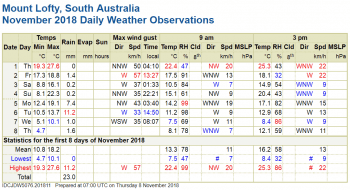 This is despite the fact that according to the BOM observations for Loxton, they haven’t had more than 5.2 mm rain in a 24 hour period for the whole of October and November. Patchiness of rain across the region may be a possible explanation for this anomaly, what might have been at the weather station in Loxton may not have been the case a few kilometres down the road. For this reason, some growers invest in their own weather stations. Some of which have in-built disease model alerts! 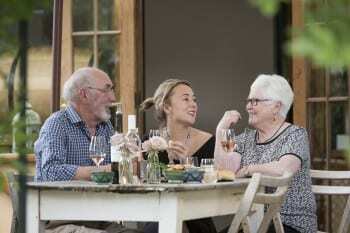 There are reports of established infections in Lobethal as well as indications that there are isolated infections elsewhere. However, it appears that most growers applied post infection fungicides, together with protectants, to reduce the potential for primary infections following the rain period from October 15-18. A smaller number of growers had adequate protection in place and did not need to take post-infection action. So, it looks like that rain in October, despite minimum temperatures below 10 degrees, was enough to spark an infection. Just goes to show exactly how vigilant growers need to be at this time of year. This week we packed up all the November Jockey Club packs for our members who are unable to collect them in person from the cellar bar. What would you request? Do you think we should release a Packing day mix tape?! 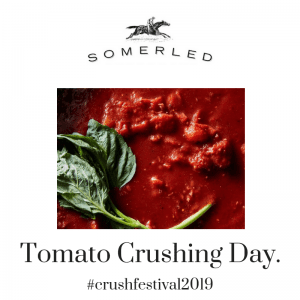 Want to be part of the fun (and enjoy some amazing wine!)? 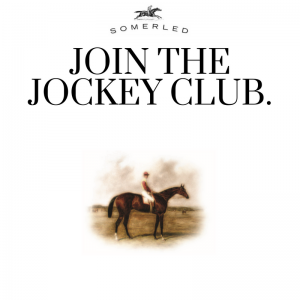 Find out all about how you can become a member of our Jockey Club here.